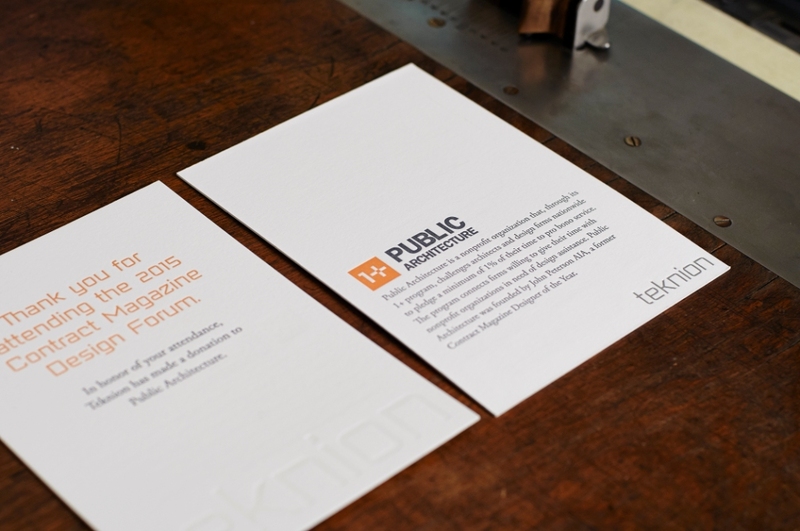 This sponsorship card for Teknion is a double sided, three color letterpress. Including both clear and silver foil embossing. The Bella Forte team printed this on Crane 220lb Lettra. Finally ready to order letterpress cards? Head over to our letterpress page and get a quote!